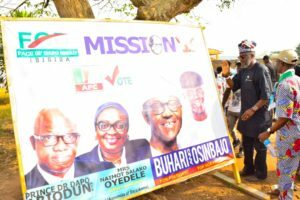 The governorship candidate of the Allied Peoples Movement (APM) Abdulkabir Akinlade on Sunday adjusted a fallen campaign billboard of his arch-rival and the candidate of All Progressive Congress (APC), Dapo Abiodun. Our reporter recalls that Akinlade’s gesture came barely three days after about 10 supporters were injured in an APC and APM’s clash which equally left many campaign vehicles shattered. Apparently in display of sportsmanship, the drama played out on Sunday after the APM candidate saw the fallen campaign board of the APC governorship candidate while entering Ilara ward in Remo North local during his ward to ward campaign. 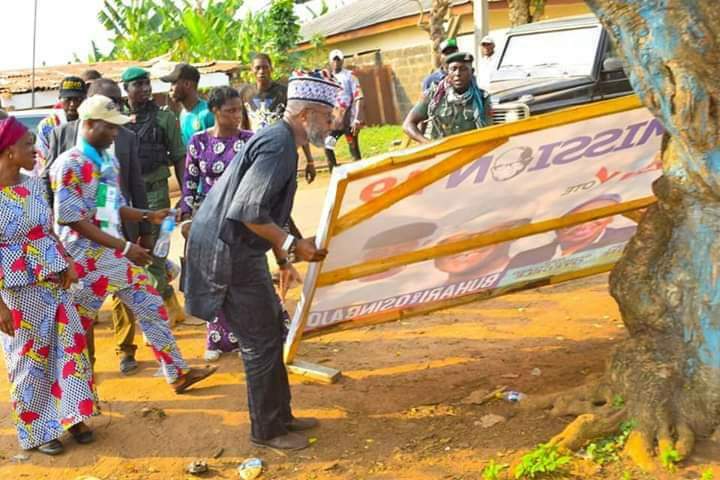 Akinlade stopped his convoy, alighted and with the help of a supporter he carried the campaign billboard and placed it rightly, to the admiration of his supporters. 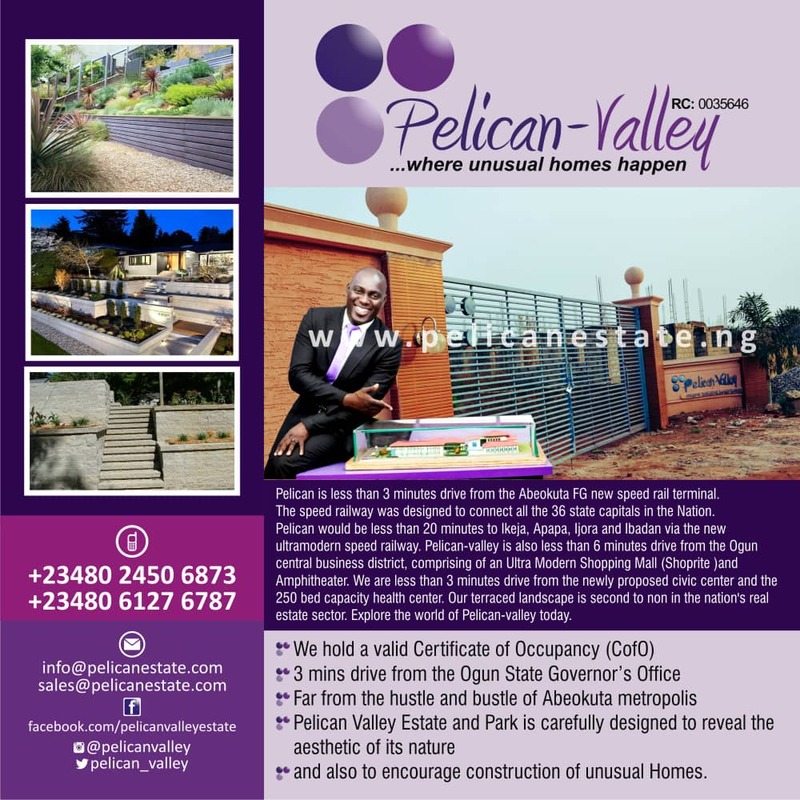 This development caught the attention of residents and made them showered encomium on him as some began to say ‘for this act, my PVC is for you’. Two residents of the area who spoke to PLATFORM TIMES confirmed the incident adding that it a rare act among Nigeria politicians. Abraham Oshinowo told our reporter in a telephone conversation that he was there at the spot where Akinlade picked up the campaign board. Another resident, who simply identified herself as Shukurat also stressed that for that singular gesture , he will not only vote for him but will as well campaign for the APM governorship candidate. After lifting the billboard Akinlade was said to have waved at resident and get back into his car and continued with his campaign.